Mobile Tutors is a reputable leader in personalized one-on-one in-home tutoring, online tutoring, test preparation, education consulting and career counseling. We offer tutoring and test preparation services in all subjects from kindergarten to university level. Established in 2008, we have developed educational programs that foster curiosity, instill knowledge and inspire students to reach their full intellectual and academic potentials. Through the use of our unique assessment techniques, we can identify the methods that will inspire, stimulate and connect with your child. We help your child achieve success during each tutoring session. We believe that success builds upon itself. We teach skills that will help your child achieve success on his or her own. Our program is enjoyable for students. It is not a chore. Our weekly curriculum worksheets and bi-weekly testing ensures that students are up-to-date with what has been taught in school and in previous tutoring sessions. Our goal is to ensure that each student’s grade improves according to their performance on our self-assessment test which is administered based on each student’s school curriculum. 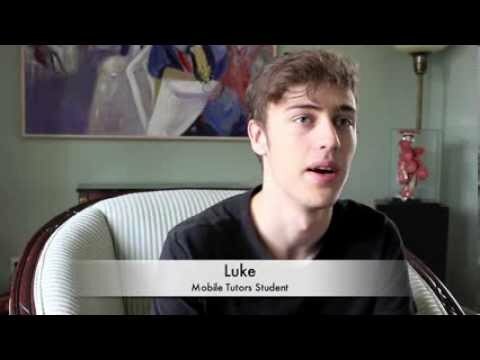 The Mobile Tutors platform matches a student with a world-class tutor that suits the student’s personality and learning style in the safety and comfort of their own home. Also, through the use of our state-of-the-art online tutoring technology, we can now make our tutoring services accessible to all students in Canada and obtain high-quality tutoring from the best educators regardless of where they live. All our tutors are certified teachers, subject specialists and graduates from top Canadian universities. Background checked and rigorously screened for teaching ability, subject-matter expertise and engaging personalities, our tutors are committed to your child’s success. Parents no longer have to worry about driving their child to learning centers or go through the hassle of screening and recruiting an independent tutor. Mobile Tutors focus on building confidence, self esteem and problem solving skills. Our experienced tutors share tried and tested successful learning strategies with students so that they can succeed on their own. Our friendly, warm, and enthusiastic tutors create a safe and supportive atmosphere for your child. We contribute to the society by encouraging lifelong learning and academic excellence. To coach our students to reach their full academic potential and promote lifelong learning.